After what seemed like forever, I finally got to eat again in Handuraw. There is a nearby branch in Lapu-lapu City which is located in Pueblo Verde just near Facebar and Robinson's Supermarket. 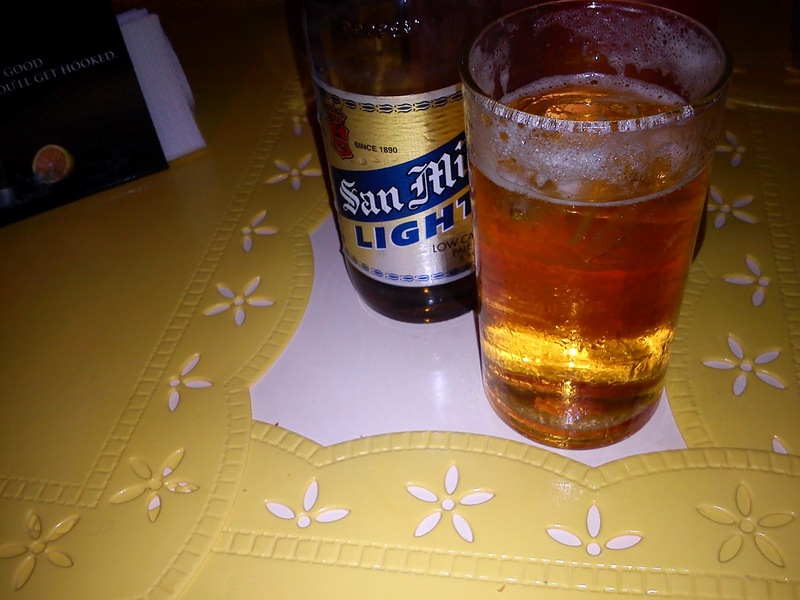 Handuraw is the spot to be for good food, ice cold ehem below zero beer and feel good music. The branch in Lahug was were I saw Up Dharma Down in the flesh way back 2 years ago. The branch here in Mactan have 7 tables that can sit 4 guests. The interiors look spacious enough to move around and the ceilings are made higher than usual to bounce off sound from the house soloist. The space is ambient for late night chow and conversations with friends over cold beer and hot pizza. Also, it is a space where art is truly appreciated. Art is displayed on the walls of the small space. This also goes for all branches. We ordered Handuraw Special Pizza and below zero beer. Unfortunately, they didn't really understand what below zero was. They served us with cold beer instead. What I miss about this place is the thin crust pizza. Ordered the Handuraw Special Pizza which is loaded with pepperoni, Italian sausage, ham, bacon, mushroom, olives, onions, green bell peppers, fresh tomatoes and mozzarella cheese on a base of their homemade tomato sauce. We waited for a few minutes and boy was it worth the wait. This 10 inch piece of heavenly goodness is sold at Php338.